Disclaimer: The writer of this piece is of CVA origin and is currently involved in the stoic defense of Providence. 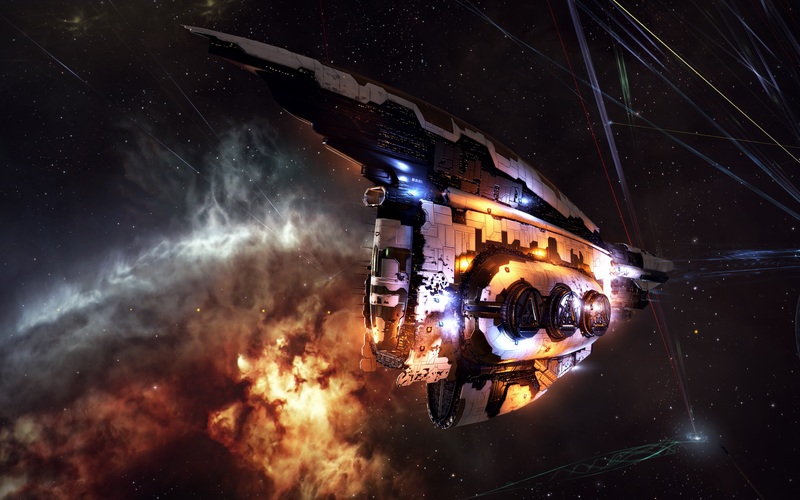 This piece is an interview with one of the FCs that killed the 54 Billion isk Rorqual in 8P9 system. The views expressed here are of the author and that of the FC and not that of Evenews24, Corporations, or Alliances. I was able to sit down with Miss Kesha one of the two FCs that planned the attack on the Rorqual. The other FC that lead the effort in the recent capital battle was that of Lordmopp1, both FCs planned the attack weeks in advance. Miss Kesha has been with The Legion Of Spoon [TLOS], a corporation from Curatores Veritatis Alliance [CVA], for about one year and two months. However, his story is much longer than that. He has come and gone from Providence several times. He spent time in Black Legion as well as Northern Coalition. however, Providence always pulled him back. His first steps to FC-ing fleets was back in 2013. In Southern Providence he started taking out cruiser level ships on roams and from there it just gradually progressed. Today Miss Kesha prefers to use capital ships but still enjoys running subcap fleets. However, the nature of Pandemic Legion dropping capitals and super capitals on Providence sub-capital fleets has made this a bit more difficult. I asked about the background of the fight and was surprised to find out the level of planning that went on behind the scenes leading up to the fight. Most would believe the fight first started when DoomChinchilla of Pandemic Legion warped into 8P9 from F-Y to engage CVA Sub-Capital ships. However, this story has a much longer beginning. Providence has been doing research on the enemy pilots. Starting in January when the conflict started to heat up enemy pilots started to be logged on patterns of conduct, habits, Yolos, ships, ship builds, fleet compositions they join, and locations of mobilizations. The defenders of Providence have also been learning and refining their own actions. On January 11th Providence defenders attempted a Dread bomb on a Revenant. This event failed mainly because of the rapid response of Pandemic Legion and its allies. This loss gave a better understanding and urgency of speedy violence and action. The killboard of the failed attack can be found here. Pilots like Doom were being studied. It was at a fleet battle on a Pandemic Legion Citadel that Providence pilots noticed that his Rorqual was able to warp disrupt at over 60 km out. Providence researchers looked into this build and finally were able to find a copy of Doom’s own build. They knew it was officer fitted and knew it would be worth a considerable amount of ISK. The planners also had information on Doom’s modus operandi. Providence pilots knew he had tendencies of going “YOLO”. The only issue was finding a way to isolate and drop enough capital ships to kill him. We knew we didn’t have much time before a Quick Reaction Force would come. We planned for a lightning attack and exfiltration if possible. Honestly, we thought we would lose our ships. We didn’t plan on coming back. Once the Rorqual warped into the system, Providence interdictors titan bridged and immediately went to tackle. This time Providence brought enough for the task at hand. Once tackle was made the capital fleet cyno dropped into position and the call to jump was made. The Rorqual however, was not there alone. Attempting to help get several more kills the Hel piloted by Pandemic Legion pilot Cow King rushed to aid his friend. This pilot was also known to Providence as well as his fit. Immediately the Providence capital fleet targeted and eliminated the Hel before focusing on the Rorqual. Knowing full well they had scant seconds the Providence pilots went to work fighting. The main target Doom was still in industrial mode. Which meant his ability to repair was limited. At this point they knew they had a kill. Not only did Doom’s Rorqual get eliminated but another, then another. Approximately 20 seconds after Providence capital ships landed on grid did the first capital fleet of Pandemic Legion’s reaction force start to arrive. At this point the Providence fleets were coming out of their first siege cycle. They knew they would soon be overwhelmed as happened countless times before with our sub-cap fleets in engagements with PL. The ordered evacuation of the capital force went underway and approximately half the fleet got to safety. In the grand total exchange, Pandemic Legion had lost 119.6 Billion ISK. Providence had lost 39.3 Billion ISK and managed to save half its fleet from Pandemic Legion members that quickly came to the rescue. The battle report can be found here. If we were to put this battle in approximate dollar amounts we find in one battle Pandemic Legion lost $1,495, while Providence losing $491.25. Afterwards the fleet was obviously pumped, Miss Kesha remarked. After the battle the discipline of communication silence exploded with the joy of victory. The amount of planning involved in the attack was intense. The execution was done properly and everything went according to plan. The major plan was to use the Providence hit and run tactic. We accomplished the mission without heavy losses while giving heavy losses to our enemy. Providence has been needing a victory such as this. We have lost a lot of morale with old alliances leaving and numbers dropping. However, the people left are dedicated to the cause Miss Kesha said. We can work with this. The capital pilots we have are trained and work well together. Pandemic Legion has huge numbers on us, ship doctrines, and ships. We cannot engage them on a head on confrontation every time. We will fight them in null sec. We will fight them in low sec. We will be here forever Miss Kesha replied with confidence. As the battles for Providence continue the hardline pilots that remain focus on making Pandemic Legion and its allies pay for every inch of Space that is taken. Provi-Bloc will not go quietly into the night dear friends. This invasion shall not be easy for Pandemic Legion. Provietnam, as some call it, has taught Pandemic Legion that failing to respect your enemy will have dire consequences. 4Ftcff Really informative blog post.Really looking forward to read more. Great.